Are you looking for a hybrid Jordan Brand shoe that will give you a fresher look this June? 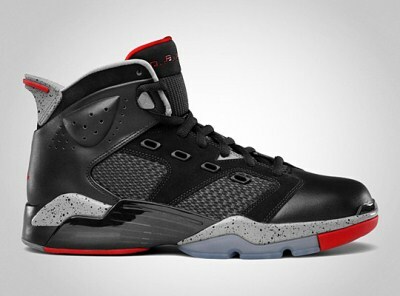 If you are then the new edition of the Jordan 6-17-23 might be the shoe that you are looking for, a shoe that is a combination of the famous Air Jordan VI and XVII that is set to hit shelves once again today, June 11. The new Jordan 6-17-23 will come out in Black/Varsity Red-Cement Grey colourway, which is arguably the best-looking colourway of this model. It features a dominant black upper part and cement gray midsole with red linings and is accented and improved by its icy blue outer sole. This shoe is now available in the market so grab one now!